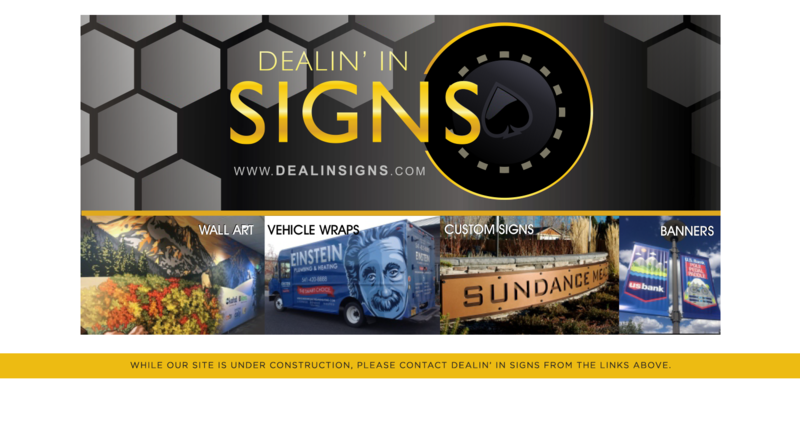 Dealin' in Signs specializes in Vehicle Wraps, Custom Signs, Banners, Wall Art + More. Serving Bend and Central Oregon since 2005. Welcome to DEALIN' IN SIGNS | Serving Bend and Central Oregon since 2002. Specializing in Vehicle Wraps, Custom Signs, Banners, Wall Art + More. Located in Bend. Drop in to meet us! | Visit us on Facebook!